Tirionfa Guest House is owned and run by Marcelo and Tina. It is situated in the picturesque town of Criccieth which has a number of small independent shops and galleries along with many cafes and restaurants offering a great variety of dining choices. 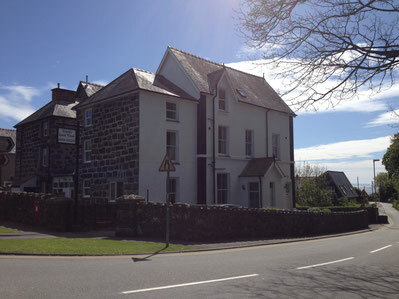 Tirionfa has five individual en-suite bedrooms, depending on your requirements, and offers a cooked breakfast which is perfect to set you up for a day exploring all that North Wales has to offer. There is also a guest lounge with books, puzzle and games available for the residents use.